At Conestoga Tile, one of our most popular tile lines is the Florium USA Woodlands tile collection. Distinctive and refined, it creates a solid ceramic floor, backsplash, or accent piece. There are three options within the collection. Autumn Creek’s deep tones are ideal for creating a firm, yet elegant appearance. The bright hues of Spring Valley are warm and inviting, and perfect for the person who likes to entertain. The dark shades of Winter Hill are perfect for the no nonsense person who enjoys the finer things in life. Autumn Creek and Spring Valley are available in 18″x 18″, 12″x 12″, and 2″x 2″ mosaic; Winter Hill is not available in mosaic. Designed to be strong and beautiful, the Woodlands collection is impervious to water and easy to maintain. The tiles are also fade resistant, fire resistant, and resistant to germ and bacteria. Coupled with Florium’s commitment to environmentally friendly manufacturing, the Woodland collection is the perfect choice for creating a beautiful and long-lasting feature within your home. Contact us at Conestoga Tile for more information about the Florium USA Woodlands tile collection. 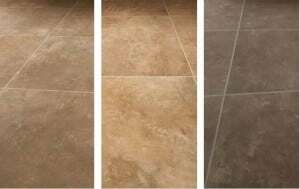 As their tile distributor in Harrisburg, we have a wide selection for you to choose from.